Visa processing. We work all over Ukraine! We will provide you a complex of visa support services to 44 countries of the world. completed set of all required documents. The amount of consular and visa fees depends on the type of visa and time term of its validity, the cost of insurance is also individual. Specify these amounts for your particular case from the manager. The order of cost of registration of visa, see below under links for each country. 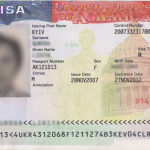 When applying for a visa to any country, you will need a passport with a validity of at least six months from the date of the end of the visa, a copy of the Ukrainian passport, income documents, and photo. * Actual lists of documents are specified by managers by phone +38 (044) 303-91-62. Attention: below, under the links, you can choose a country page with detailed information about applying. Everyone who has ever dealt with visas personally always come through this “reality” in the form of a bureaucracy of embassy employees, a waste of time and money, and groundless refusals. Entrust this to professionals in visa processing – Kyiv, Zaporizhzhia, Kharkiv, Dnipro, Odessa, Lviv or any other city of Ukraine. We are engaged in registration of disposable and reusable tourist, student, guest, business, and other types of visa. For the application, call to the office — +38 (044) 303-91-62. How is the agreement between Ukraine and the EU on visa facilitation simplified? The public association “Europe without borders” interviewed 800 respondents who applied for visas to 18 EU countries. As the results showed, comply with the provisions of the EU Visa Code and friendly to our citizen’s consulates in three states: Estonia, Lithuania, and Hungary. Among the “contradictory” were the consulates of Poland, Portugal, Spain, Italy, Germany, Greece, Finland, France, the Netherlands and the Czech Republic. In the category of neutral countries, experts attributed Austria, Latvia, Slovakia, Belgium, and Sweden. It is important to note that the states with problematic visa practice are not named, although such a group existed before. in 2015 – 1.1 million. Of this number, 56.8% are long-term. In 2015, compared to 2014, the number of refusals to enter the Schengen countries increased 1.5 times. Of these, about 80% of all failures were at the border with Poland. The main reasons for refusal are falsified documents or an insufficient number of them. This video overview main reasons why Ukrainians have problems with obtaining a visa to Poland. In some cases, it is necessary to provide officially translated documents. power of attorney and sponsorship letter. *Actual lists of documents are specified by managers by phone +38 (044) 303-91-62. *Contact with tourist agency “Business Visit” in a convenient city for you, you get a quality consultation on visa issues by phone or in the office. The transfer of documents for visa processing is carried out by courier or personally. The plot tells that Germany, Latvia, Lithuania, Estonia, Slovakia, and Poland, canceled the visa fee for issuing national visas with a validity period of more than three months. We don’t talk about the abolition of the consular fee. It is because of the various rules of consulates that it is impossible to know exactly the total amount of the cost of registration – the amount of services for visa support, visa, and consular fees, as well as the cost of insurance in each case, is individual. Call now to our office in Kyiv: +38 (044) 303-91-62 or fill out an application for registration. In fact, being in Europe and having in the passport a national visa or a Schengen visa, it is difficult to feel the difference. Nevertheless, there are some differences, in the obtaining and in the conditions of stay in the Schengen zone. As a rule, the national visa (type D) is issued to the Schengen countries and provides for a long-term stay in the territory of a certain state (from 91 to 180 days in six months). In addition, it gives the right to visit this state unlimited number of times and for additional movement through the territory of other lands. In fact, it allows you to permanently reside in the country that issued it. In this case, it is necessary to apply for a visa to the relevant state authorities where you live to obtain a residence permit. A “D” visa is issued for a maximum of one year. It takes up to 30 work days to process it. Also note, that the cost of the national visa is lower than Schengen. Some countries give it out altogether for free. additional documents that confirm the purpose of entry, availability of funds for entry and stay abroad, etc. It should be noted that each country has their own procedure and requirements for obtaining such type of visa. Also, the list of documents, the cost, time term of examination of the application and the procedure for issuing may differ. The minimum insurance coverage for many Schengen countries is 50 thousand dollars. To stay in Poland requires a policy with a coverage of 30 thousand dollars. To obtain a visa category “D” it is again necessary to stay on the territory of the country for at least 91 days a year. Otherwise, there may be difficulties with visa obtaining in the future. If you want to visit several countries, remember the “First Entry Rules” — that the first entry must be made in the state, which gives you enter permit. Including all the above nuances, it is necessary to take seriously to obtain a national Schengen visa. Therefore, apply for registration only to specialists. Why do you need a guest visa? It is necessary to travel to friends and relatives at their invitation. The main requirement for getting is a correctly issued invitation. In addition, such invitation could be sent by a citizen of the country what you want to visit, on legal grounds of course. When it is issued, it is always necessary to provide various proofs of your kindred or friendship with those who sent you an invitation. These can be extracts from telephone conversations, common photos or chats. In addition, you need to show guarantees that you will return to your homeland. If you cannot provide an invitation and evidence, then it is better to apply for tourist visa. The basis processing this type of permits is paid hotel booking and tickets, and not an invitation. When applying for a guest Schengen visa, it should be noted that if the purpose of your trip includes staying in the countries of the Schengen area more than 90 days, then it is not necessary to obtain guest or tourist visa, you can apply for a national visa in a certain country. The issuance of visas to the United States and to the countries of the British Commonwealth (Britain, Canada, Australia and New Zealand) has its own visa requirements, on the territory of Asia – its own. Call now to our office in Kyiv +38 (044) 303-91-62 or order online. the original of the invitation, which contains: name, surname, address, contact phone number and e-mail address of the inviter; name, surname, gender, date of birth, passport number and citizenship of the invited person; length of stay and number of entries; the nature of the relationship with the person who being invited. Such a letter must be signed and sent by post. In case of kinship, you must also attach a copy of the supporting document, for example, a marriage certificate or birth certificate. embassies from the second group pay more attention to the financial situation of the applicant and require a certificate from the place of work and documents that indicate the amount of income. They also pay much attention to the interview. To facilitate the procedure for obtaining a guest visa, please contact us. Contact us at the specified phone number and find out more about how to get an entry permit without problems. This is your pass to visit the chosen country, the opportunity to gain invaluable travel experience and excellent impressions for life. This type of visa doesn’t give you a permit for a long stay, work or study. In addition, preparing visa process doesn’t require additional documents to substantiate your stay in the country. But there are some nuances, so when you are applying personally, the result is not always successful. Schengen tourist visa: what are your benefits? freedom of movement and the opportunity to see a lot for one trip. Where can you get a tourist visa? Earlier tourist visas were opened by travel agencies, where they offered to purchase one of the tours, which deprived tourists of the opportunity to plan their own trip, choose a place of residence, excursions, etc. Today, it’s not necessary to buy a tour. You can order only the registration of an entry permit and not use the services which offered travel agencies. If you are in love with adventure if you can’t live without traveling or vivid impressions from majestic Europe or other continents, contact us for registration! We guarantee the shortest terms and reasonable prices. If you want to get a visa online — fill out an application, it takes only a few minutes, and our manager will contact you. You can get a free consultation using the Kyiv phone number: +38 (044) 303-91-62. The processing procedure can take a very long time and effort. It is much easier and more profitable to entrust this work to professionals, knowing that as a result, you will receive such a necessary visa in a short period of time. If you want to issue a business visa, we will always be happy to help you achieve your goal. The main goal of such visa is a trip to a business meeting of a business meeting, as well as conducting negotiations with business partners. What does such visa envisage? This is a frequent, but short visit to foreign business partners. 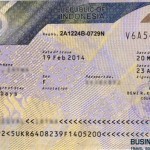 You can get a business visa for a long time term, without renewal process, at least for a year or five years. This sufficiently long term (corridor) makes it multiple – multivisa. There is no secret that the success of any business depends on a timely meeting and negotiations with business partners. At first sight, the implementation of the conceived is a difficult task because of the boundaries that separate partners. To achieve the desired, it is enough to receive an invitation from abroad or to be a very frequent visitor to Europe. But not everyone has such opportunity. In order not to risk your business, you can use the services of professionals in the industry. All Schengen countries require not only a basic package of documents. Practically in all cases, the list is the same, but if you are going to Spain, Belgium or Germany, then it is impossible to get a document without trip history. correctly draw up and completed the full package of documents for innings to the consulate. As we have already mentioned, the list of documents, in most cases, is standard. 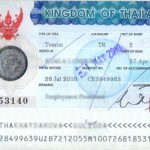 The applicant must provide a passport, two color photos, bank statements, which confirm that he is sufficiently provided for the trip, as well as a certificate from the workplace. The main document, in this case, is an invitation from the host country. The receiving party is an officially operating legal entity that acts as the organizer of the event in which the applicant will participate. 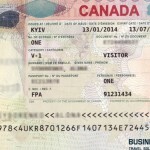 How to apply for a business visa in Kyiv or Zaporizhzhia? On our page, you can fill out visa applications for an entry permit, and we will contact you. Have you any questions referring the registration? Call us in Kyiv +38 (044) 303-91-62, and we will be happy to advise you the most convenient solution. One of the first difficulties that every young man who wants to study abroad is facing is getting a student visa. Almost everywhere there are their demands and nuances, which must always be taken into account. What kind of permission is this? This is a guarantee of staying in a particular country for the purpose of studying. It provides many young people with a certain level of freedom, suggesting some limitations. you need to convince the commission that you aren’t a threat to a country where you will be studying. Get education abroad is a reality. The main thing is to get a visa, taking into account the special requirements of the embassies of a different country. So, permission for education in the US is issued, as a rule, until the end of studying. Obligatory requirement – is the interview in the American consulate. The maximum number of failures is four. For the French embassy, ideal documents are required, translated in French and certified by a notary. It is not easy to get permission for studies in the UK and Germany, it is necessary to collect a considerable number of documents and characteristics. Ireland – is one of the most loyal in issuing permits. Mini-investments are also accepted here. For Italy, the conditions of your residence are important. If you intend to take private accommodation, you need to provide passport, ID owner of the apartment and Permesso di Sogiorno with signatures. In the case of Spain, the main thing is a certificate of non-conviction with The Hague Apostille. The advantage of visas for this state is the very high rate of their receipt (4 days). Very often the way to the desired country lies through several other countries. In order to avoid problems during the trip, you should always take care of transit visa beforehand. Such permission is issued for a sufficiently short period of time, sufficient for travel to another state. It must be obtained from each country through which your route passes. This type is necessary for making a transit change on the territory of the country, according to the tickets. The validity period is a maximum of 72 hours (three days). You can open it after you have issued a visa to your destination. Only the embassy of the state that will be the first in the way of your journey to the desired point of stay can give such permission. When is the transit permission is required? flying with a transfer, when you need to change the airport and go from one terminal to another (there are several exceptions). travel tickets (with confirmed departure date). Recently, all transit passengers are issued with a transit visa of category “B”, which is not usual for such a process, but a short-term “C” category permit with a mandatory “transit” mark. The resolution of this category is valid only for a few days (usually from 1 to 5). It is issued to foreigners traveling on the territory of the state that is a party to the Schengen Treaty. In some cases, a category “A” document is required. For example, if you need to make a flight with a transit stop. Permission category “A” provides the opportunity to stay in the airport zone of the transit country. If you leave the airport territory, then such an exit will be considered illegal, with all the ensuing consequences. Very often the validity of such a visa can vary, depending on the country. On average, this is 24 hours – 10 days. Each country has their own fixed rules and rules for issuing such permits, depending on the country that is the final destination, as well as the citizenship of the recipient of such authorization. At the top of the page, you can fill out an application for registration. For more detailed information, please contact us by +38 (044) 303-91-62.
in case of refusal, many people change their passports to a new one, referring to the loss of the old one, which looks very suspicious for embassies and may provoke a new refusal. Which visa better for me? Do you process visa for foreign students? What kind of visa is you interested in? Which country? Do you have a residence permit in Ukraine?